Casino nails on my nubs! Yaaaaaaay! So Casino Royale was on tv and James Bond was playing poker. And because I am a nailie, I can't just watch TV without getting inspired. And I was inspired twice. 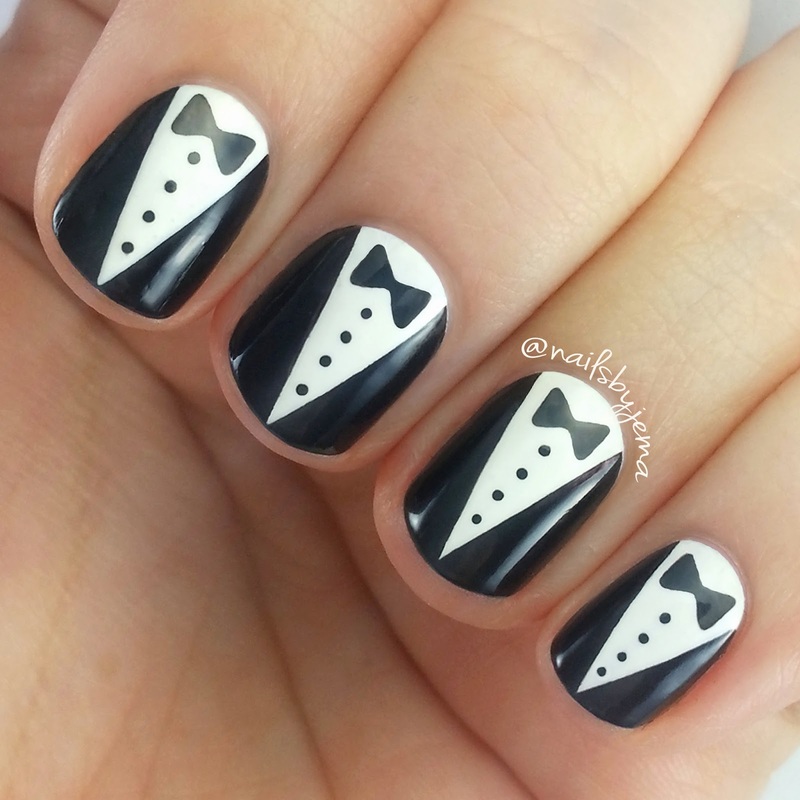 Thse were obviously inspired by the famous James Bond tuxedo. I used China Glaze 'White On White' and Australis 'Black Out' for the shirt and jacket. I used my striping tape routine to get super crisp lines. For the bow ties and button details I used a black gel pen so I could get them really neat. 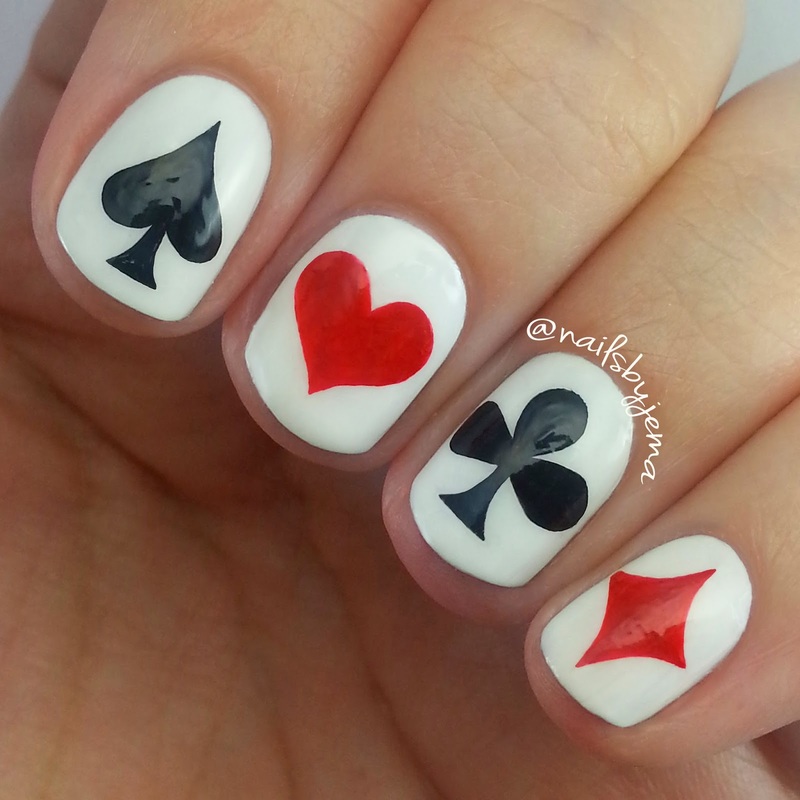 And because he was playing poker, card suit nails!! I started with a base of China Glaze 'White On White' and then used nail art brushes and acrylic paints to make the suites. Why acrylic paint? Its cheaper, dries faster, easier to use and doesn't smudge. It's a fantastic nail art option. My Casino Royale nails are kinda great. I love how simple they are and how easy they are to do but they really make a statement. Does regular nail polish remover also remove the acrylic?